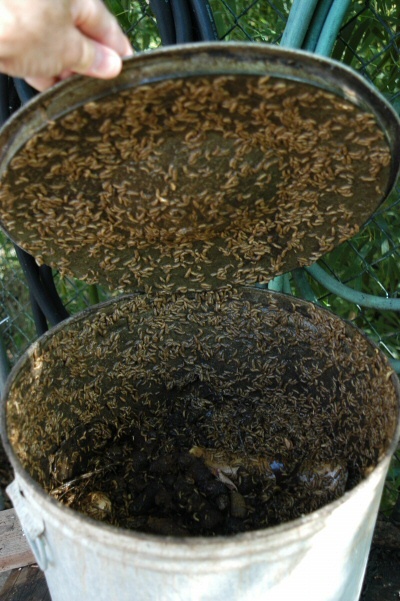 Those leathery looking, segmented worms in the compost pile are the larvae of the pretty black soldier flies. Both life forms are beneficial and are commonly present in overly moist compost. Let the compost dry out some and they will go away but do no damage in the meantime.